Mr. Leland Jones “Buddy” Brothers, Jr., age 80 of Unionville, TN, passed away Friday, January 25, 2019, at his home surrounded by his family. He was born September 7, 1938, in Rutherford County, TN to the late Leland, Sr. and Effie Smith Brothers. 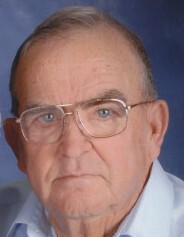 Mr. Brothers graduated from Community High School in 1956. He served nine years in the Tennessee Army National Guard. Mr. Brothers retired as a plant manager for Genesco after 35 years. After retirement, he continued to enjoy farming and enjoy his family. He was a member of the Chapel Hill Church of Christ. In addition to his parents, Mr. Brothers was preceded in death by a sister, Annette Anderson, and a brother, Roger Brothers. Mr. Brothers is survived by his wife of 60 years, Janelle Wheeler Brothers of Unionville, TN; sons, Andy (Carol) Brothers of Chapel Hill, TN and Tim (Kittie) Brothers of Chapel Hill, TN; daughters, Jennifer (Michael) Bennett of Unionville, TN and Amanda (Chris) Lemmons of Unionville, TN; 11 grandchildren, Cortney (James) Tankersley, Rex (Jill) Brothers, Jared Bennett, Seth (Katrina) Brothers, Hunter (Corley) Brothers, Leland Brothers, Ashton Bennett, Savannah Brothers, Preston Bennett, Anna Katherine Lemmons, Macie Lemmons; 10 great grandchildren; two brothers, Joe (Dorothy) Brothers of Elizabethtown, KY and Myles (Kay) Brothers of Unionville, TN; sister-in-law, Janice Brothers of Unionville, TN. Visitation with the family will be on Saturday, January 26, 2019 from 4 PM until 8 PM at Lawrence Funeral Home. Funeral services will be conducted on Sunday, January 27, 2019 at 2 PM from the Chapel of Lawrence Funeral Home with Isaac Bourne and Russ Countess officiating. Interment will follow in the Wheeler Cemetery near Chapel Hill, TN. Grandsons will serve as pallbearers and granddaughters will serve as flower girls. Memorial donations may be made to the Chapel Hill Church of Christ, P.O. Box 609, Chapel Hill, TN 37034.